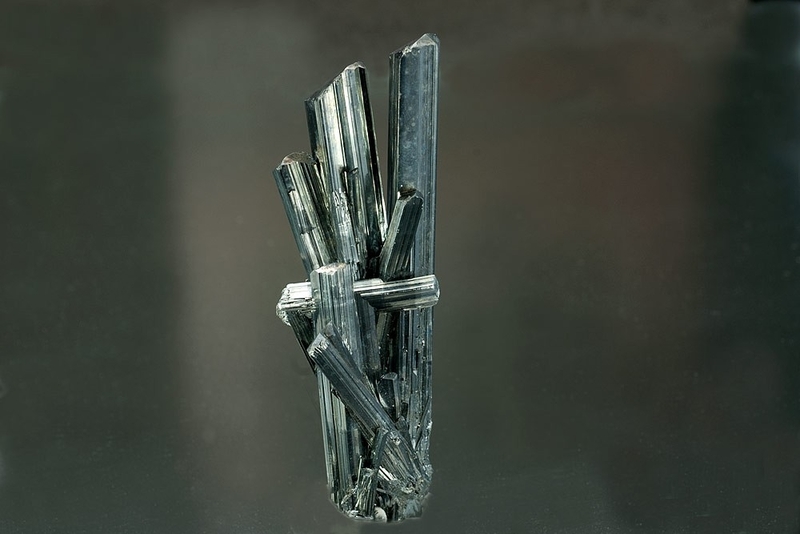 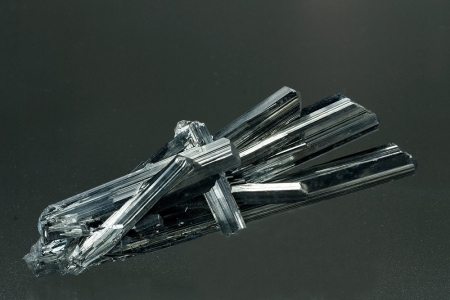 Aesthetic divergent spray of lustrous striated stibnite crystals. 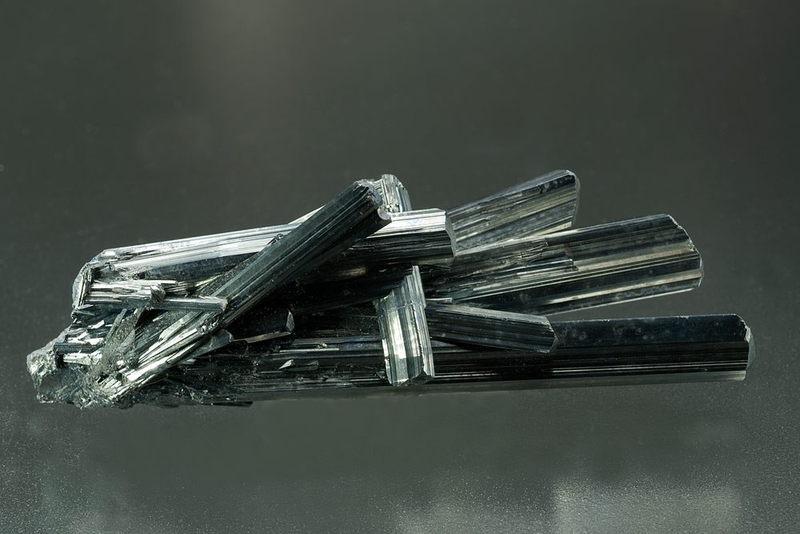 The terminations are particularly fine with well-formed crystal faces. 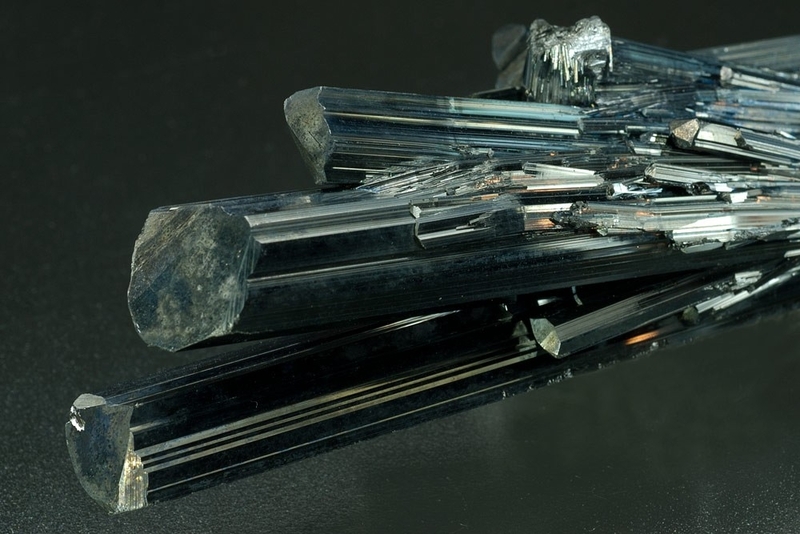 Total length of largest crystal is approx 100mm (4 inches) and cross-section at the tip is 15x11mm.